State Police headquarters in Framingham. Amid numerous ongoing investigations into overtime and payroll fraud, the Massachusetts State Police Department has tried several times in recent months to destroy more than a hundred boxes of payroll, attendance, and personnel documents that span decades, records show. 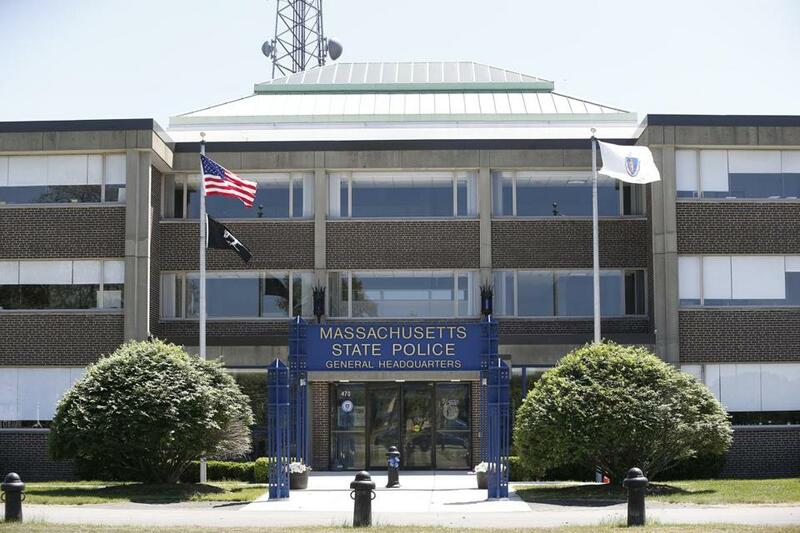 The department asked a state document retention board three times this year for its approval to destroy the files, including once in March, just days after the Globe revealed that payroll records for an entire 140-trooper unit had been kept hidden for years. The department sought to destroy the only existing copies of the records, but the Records Conservation Board tabled each of the requests, citing the files’ potential ties to ongoing investigations, according to documents provided by the board. News of the record-shredding attempts drew sharp rebukes from a number of government watchdogs and officials Wednesday, including US Attorney Andrew Lelling, whose office is currently investigating overtime abuse in State Police. Full Boston Globe coverage of the overtime scandal and other problems at the Massachusetts State Police. He said the records were old enough to be eligible for destruction under state rules and were “not currently the subject of any outside investigation or audit.” Procopio declined to say whether the records were the subject of any internal audit. The department is currently under widespread scrutiny. Federal and state prosecutors have charged eight current and former troopers in the ongoing overtime fraud scandal, cases that are reliant on State Police payroll records. More charges are likely. The request to destroy the records was first reported by Commonwealth Magazine on Tuesday. Baker previously pledged the department would look back in time — beyond the two-year window of its current internal audit — if payroll problems continued to appear. “The simple truth of the matter is they shouldn’t be destroying any payroll records, and they won’t be,” Baker told reporters at an unrelated event, according to a transcript of his remarks provided by his office. Gonzalez called the bid to destroy the documents an “attempted coverup” and demanded an investigation by the state Inspector General’s office, which is launching an independent auditing unit to oversee the State Police. Gonzalez has previously called for State Police Colonel Kerry Gilpin to be fired and replaced by someone without ties to the department. State law requires agencies to keep records for a certain amount of time, which varies depending on the type of record. After the required retention period has passed, agencies can seek permission from the seven-member Records Conservation Board. The requests, however, began soon after controversy engulfed the agency. In March, Gilpin held a press conference accusing 20 troopers of fraudulently collecting overtime pay. 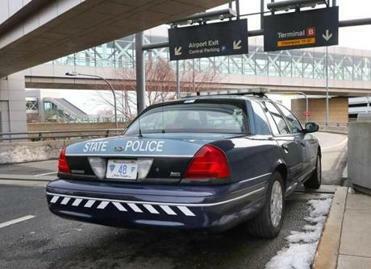 Days later, a Globe report revealed payroll records for an entire 140-trooper State Police division — including some of the department’s top earners — had been hidden for years, prompting sharp criticism and a vow from the notoriously secretive law enforcement agency to be more transparent. Two days after the Globe report, the agency quietly filed the first of its requests to destroy documents. The request sought permission to dispose of 115 banker boxes of time and attendance records covering 2010 and 2011, along with “bank and cash” and “billings and collections” records from 2009 through 2013, plus “routine accounting” records for 2001 through 2013. In April, State Police filed a separate request to destroy 40 more banker boxes of records, a varied mix of personnel, payroll, and retiree records spanning numerous years, including time and attendance calendars from July 1994 through 2014. The department’s ongoing internal audit into overtime fraud began with a review of payroll records from 2016. Officials finished that portion of the review over the summer and had moved on to reviewing 2015 records. The third and most recent request to destroy 12 more boxes of records was filed last month. Those boxes contained payroll records for Troop F, from 2009 through 2012, including detail and roster assignments. Prosecutors can go back as far as six years in charging troopers with overtime fraud, at least under the types of criminal charges filed thus far. Records provided by the board show State Police have made 15 requests to destroy troves of old records, including payroll filings, since 2013. Board members — who are chosen and appointed by other state agencies — either declined to comment or did not respond Wednesday. The Records Conservation Board is chaired by a designee of Attorney General Maura Healey’s office, which has filed charges against three troopers — and has said to expect more — in the overtime fraud case. A spokeswoman for Healey declined to comment, citing the office’s ongoing criminal investigation. She applauded the records board for denying the destruction requests. Kade Crockford, director of the Technology for Liberty Program at the American Civil Liberties Union of Massachusetts, also called for greater transparency. Joshua Miller of the Globe staff contributed to this report. Matt Rocheleau can be reached at matthew.rocheleau @globe.com. Follow him on Twitter @mrochele.